Please use the form below to send in your order. We will contact you shortly after receipt with the next step. Do you want a blog as part of your site? If you already have a domain name, who redirect your nameservers? Enter your desired domain name. Please enter 2 choices in the field above. I will let you know if they are available. Who will add your content? Who will resize & optimize images? Create 10 blank pages to start with, ready for you to add your content. You can always add more as your site grows. Create 3 image galleries and link each to one of 3 of the 10 pages. These will be ready for you to upload your images. There is no limit to the number of galleries or images you can upload once you take over the management of your site. Artbiz will set up your Navigation Menu with a drag and drop interface where you can reorder your pages anytime. Get more followers to your social media sites like Facebook or Twitter with social media links. Embed videos and music in your content. Shopping Cart installed upon request for an additional one time fee of $185. We will setup and configure the cart with one product that you can duplicate to create more. Don’t want to add your own content? There’s an option on the signup form to have Artbiz do it for you. Register your own domain name. I recommend NameCheap as a domain name registrar. Here’s why it important to own your domain name. Or use your existing domain name. Artbiz has a Virtually Partitioned Server for hosted clients. This means that we don’t share our resources, like memory and bandwidth, with anyone but other Artbiz clients. Standard host providers do not automatically upgrade third party programs like WordPress. Core Updates are major application updates to WordPress. Often these upgrades are security related and are important to maintain. Artbiz ensures that the core updates are compatible with each and every one of the plugins. If a plugin needs to be replaced, we will do that and provide you with the details. Plugin Updates are things like your Contact form, SEO (important for your sites rankings in Google etc), Gallery etc. From time to time the developers of these plugins provide updates that increase functionality, fix bugs and enhance security. While these appear to be simple updates, Artbiz still tests them to ensure they still do what they say they will. Theme Updates for your Artbiz theme. We make sure our themes are following current web standards and include all updates and new features. While we are at it we make sure your WordPress site is backed up and scanned for security. 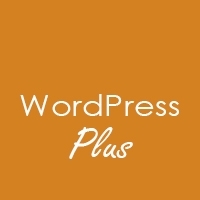 Check out our WordPress Minus Package. Sign up & have a website in 24 hours or less.